The new Rule 48.14, which became effective on January 1, 2015, brought significant changes to the administrative dismissal regime in Ontario. After several hundred claims and over $13 million in claims costs in five years, LAWPRO was happy to see the previous Rules 48.14 and 48.15 revoked. While the new rule stemmed the tide of claims under the old rules, the changed deadlines and processes under the new Rule 48.14 introduce new claims risks that may trap the unwary lawyer. 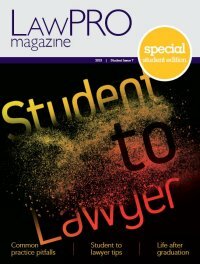 LAWPRO encourages all lawyers to familiarize themselves with the requirements under the new Rule 48.14 and make necessary changes to internal firm systems and processes. 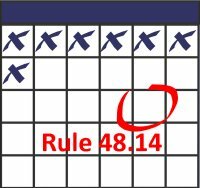 Please keep in mind the most significant change under the new Rule 48.14: courts are now automatically dismissing actions not set down for trial five years after commencement, without sending notices of any type to parties or their lawyers. Lawyers must keep their files moving to avoid facing this dismissal. Firm Transition Checklist: Review this checklist to make sure your firm’s processes and tickler systems are updated to reflect the new Rule 48.14.